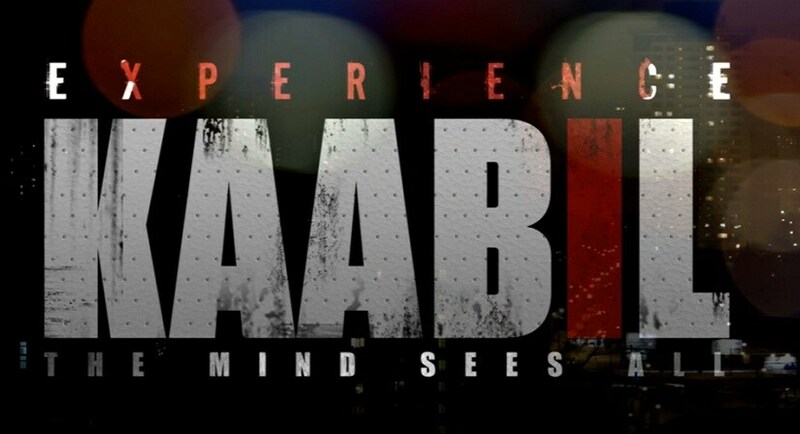 A deconstruction of your senses — the first thought that comes to your mind upon watching Hrithik Roshan's next film Kaabil's teaser. There's not much to see, per se, in the teaser. And yet, without showing us anything, it gives away much about the story. The Kaabil teaser starts and ends with Hrithik Roshan's voiceover. He speaks about the feeling of loosing your senses; like having a mouth but not being able to speak; or having a mind but not being able to express. Directed by Sanjay Gupta, the film features Hrithik and Yami Gautam in the lead. Sanjay Gupta's last film was the Aishwarya Rai Bachchan starrer Jazbaa. A suspense thriller, Kaabil is expected to release in theaters early 2017. For now, the release date is reported to be Republic Day, but since Shah Rukh Khan's film Raees is also expected to release on that weekend, the clash is impending. There were reports of Rakesh Roshan approaching Excel Entertainment and Shah Rukh Khan, asking them to move their release. But neither parties have budged from their potential release date. In Kaabil, Hrithik Roshan and Yami Gautam are expected to play visually impaired characters. The trailer is expected on 26 October.